When it first came out, Jurassic Park was one of my all-time favorite movies, and, with an initial release of over $900 million worldwide, it seems like I wasn’t alone. Directed by Steven Spielberg, who was fascinated by dinosaurs as a boy, and written by Michael Crichton, Jurassic Park quickly gained blockbuster status as a generation-defining film. That was 1993. Since technology has advanced A LOT in the past twenty years, Spielberg felt he needed to tweak his masterpiece film using the latest CGI technology to portray his vision for today’s audience a la James Cameron’s Titanic 3D. 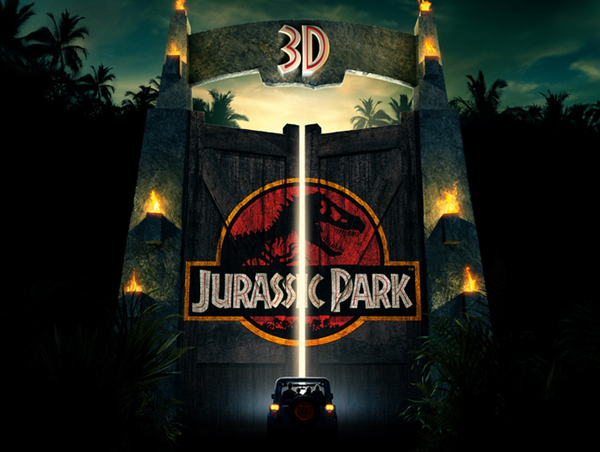 As a result, Universal Pictures released Spielberg's groundbreaking Jurassic Park in 3D this month; a newly updated epic that has more intensity and ferociousness than I ever thought possible. If you haven’t seen it, I would highly recommend it!